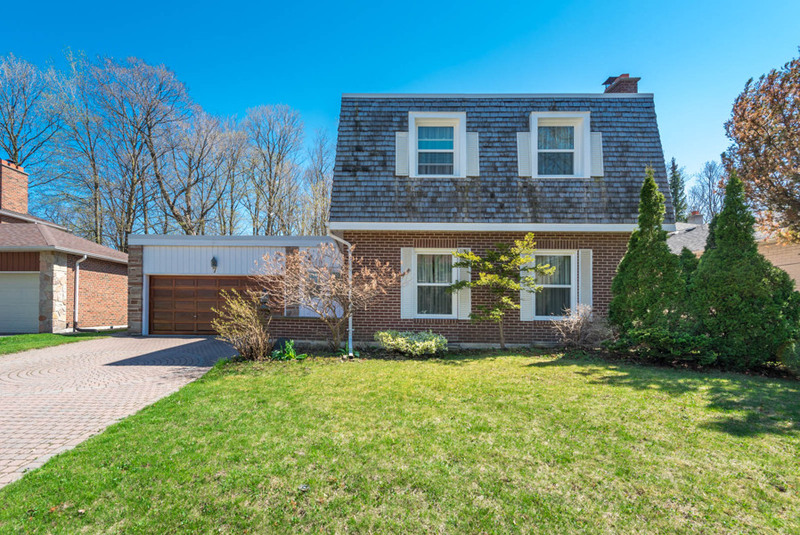 TORONTO – Located on a quiet and exclusive street, 7 Kilchurn Castle Drive is a spacious house that has been lovingly cared for and is located in Scarborough, ON. Spanning 3,300 total square feet, this property has everything a potential buyer could be looking for and then some. The house consists of four bedrooms, four washrooms, three fireplaces, three walkouts to the back yard and a wet bar in the basement. The basement is also fully finished. The main floor family room features one of the three fireplaces, while the property also includes an intimate dining room that opens to a spacious living room. The palatial master bedroom also has a fireplace, along with a sitting area and en-suite washroom. All four bedrooms are located on the second floor. In addition to a double driveway and an automatic garage opener, the house exterior is finished in brick and wood. The backyard is also the perfect place for entertaining as it backs onto a golf course, surrounded by a wall of mature trees to provide added privacy. Centrally located and in close proximity to all possible needs, the home is located on an exclusive and quiet street that allows kids to have the freedom to play. There are numerous nearby schools, shops and parks in proximity to the location. Listed at a price of $1,149,000, the property can be found by its MLS Code of E4251715. Information and photos of the property can be found on the listing’s website at www.7kilchurncastle.com or there is also a virtual tour at http://houssmax.ca/vtour/c3666303. Listing realtor Jen Rothschild will be able to help clients for the entire process, by delivering a kind word or jest, guidance and resources to get the job done. A professional Realtor who has been servicing Toronto for the past 12 years, Rothschild loves her job and having the ability to connect with people. She also enjoys being able to share with people what is often one of the most important landmarks in their lives. From the onset of a real estate transaction, whether buying, selling or leasing, Rothschild’s role is educating and informing her clients to ensure they achieve the best outcome. She is also readily available to her clients to answer any of their questions or concerns and have an eye for the small details that can make or break a deal. At GTA Real Estate Pros we help people all across the Greater Toronto and surrounding areas to find a Realtor from within the 10% in Canada. Quickly and easily get matched to one of the very best Real Estate Agents out there with our free service.